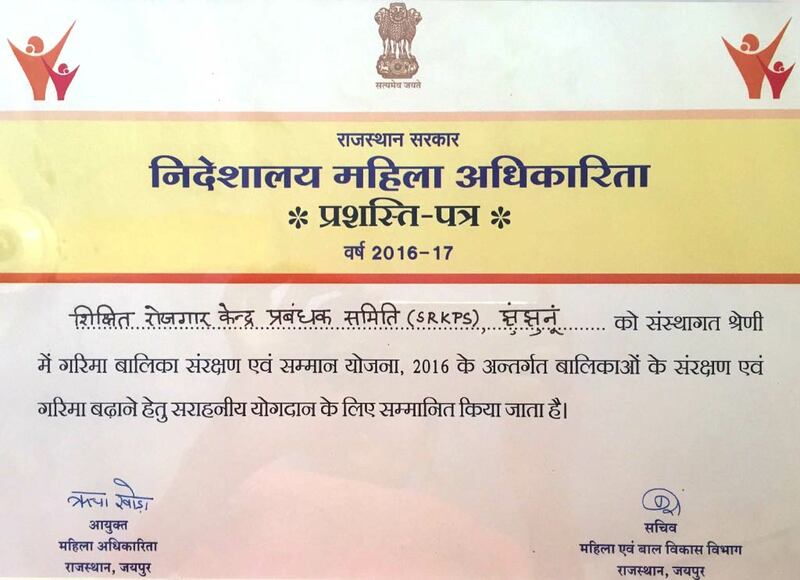 SRKPS is a recipient of the prestigious Nari Shakti Puraskar (formerly Stree Shakti Puraskar), literally meaning "Woman Power Award", is India's highest civilian award for recognising the achievements and contributions of women or for women. The awards are given away by the President of India every year on 8 March, International Women's Day at Rashtrapati Bhavan in New Delhi. 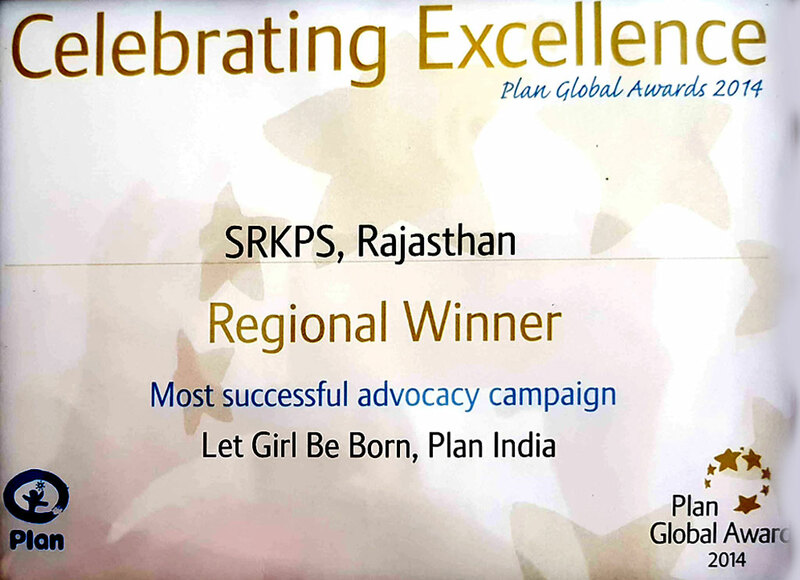 In 2014 SRKPS was awarded by Plan Global Award in the category of Most Successful Advocacy Project for the excellent implementation of Let Girls Be Born. 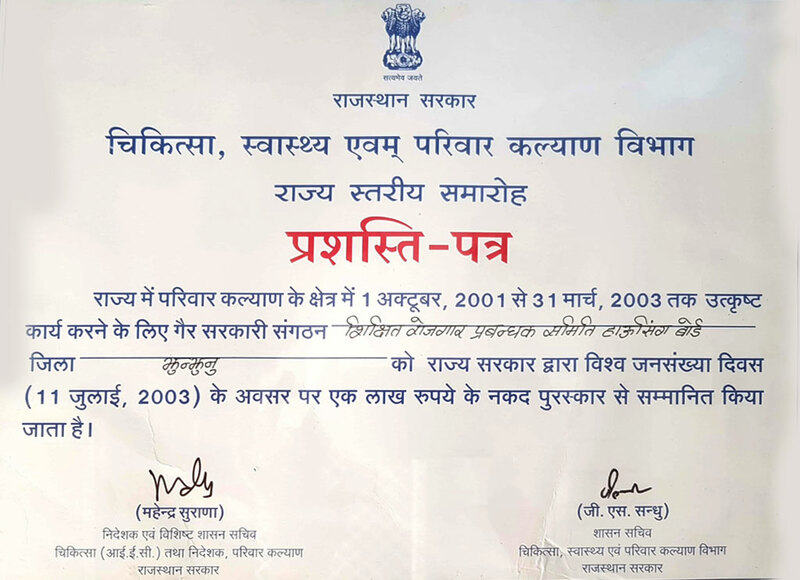 On World Population Day 11 July, 2003 SRKPS was awarded by Award of excellence by Department of Health and Family Planning, Govt. of Rajasthan for its contribution in family planning project. 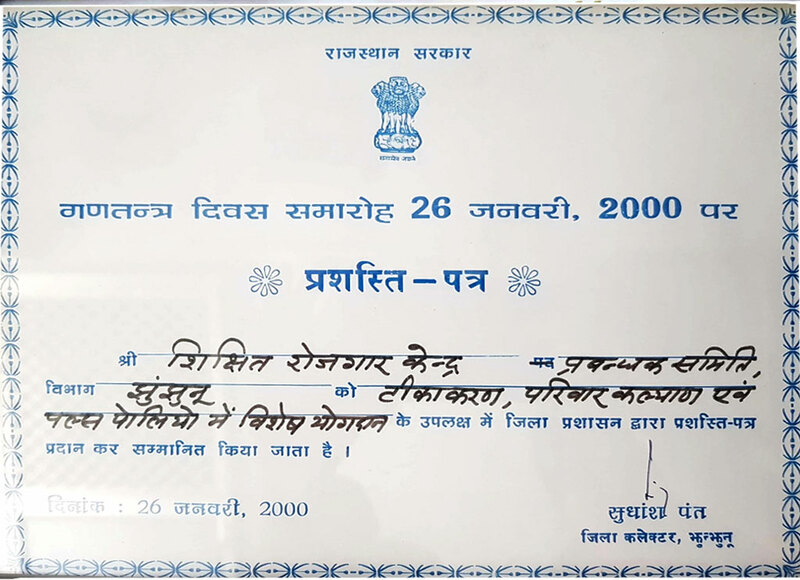 SRKPS was awarded by the Govt. 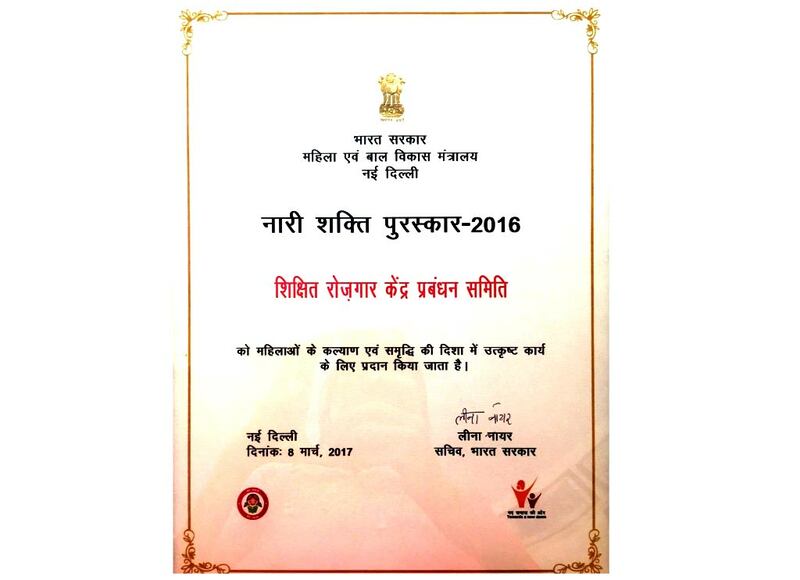 of Rajasthan for its contribution for saving the girl child and supporting government for effective implementation of PCPNDT Act. 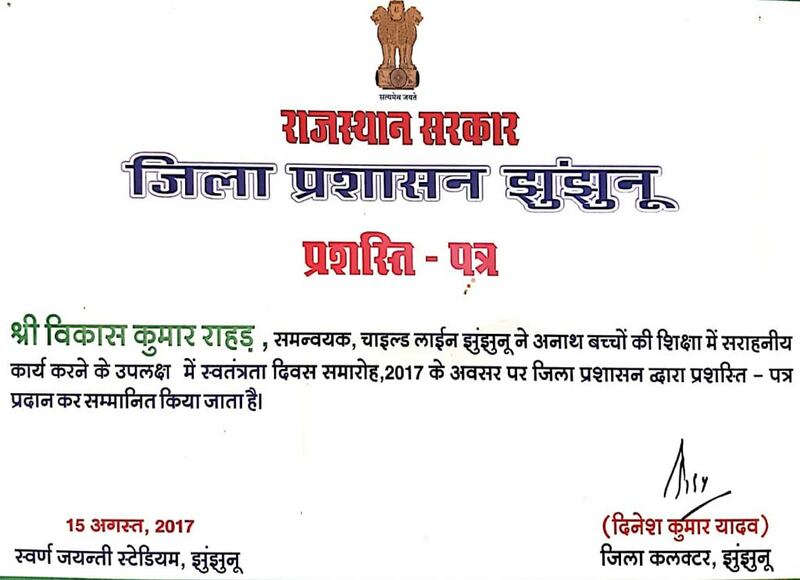 Childline 1098 Jhunjhunu was appreciated by District administration on Independence day 2017 for Protection and Release of children from child labor. 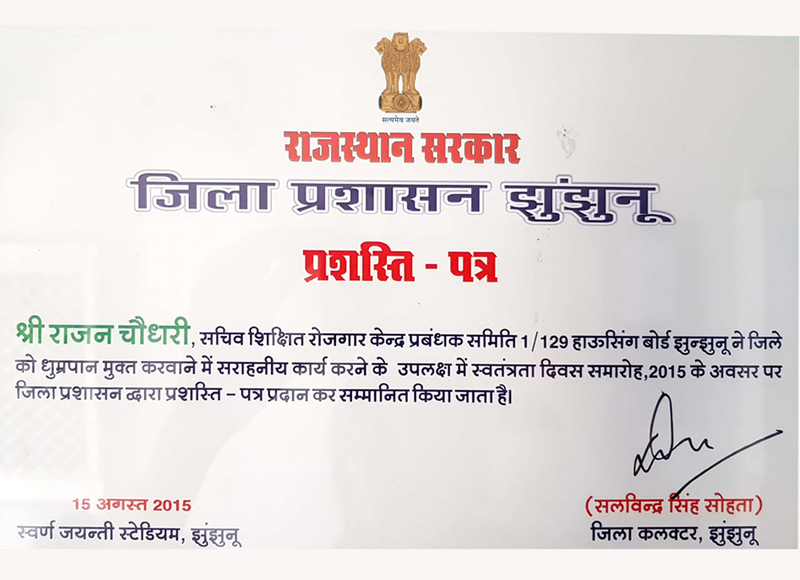 SRKPS received commendation from Jhunjhunu District Ammonization on job well done on Maternal and Child Health and Contribution in making Jhunjhunu a smoke free district.